Te Papa’s Pacific Cultures staff have been blogging daily to mark Tongan Language Week. The theme for this year is Fakakoloa ‘o Aotearoa ‘aki ‘etau Hiva Fakatonga – Enriching Aotearoa with Tongan Music. However, today’s blogpost is from a guest writer, Suliana Grace Vea from Wellington. Ko hoku hingoa ko Suliana Grace Vea. Koe hoku tamai oku ha’u mei Faleloa, Ha’apai mo Kanokupolu, Tongatapu; Koe hoku fa’e oku ha’u mei ‘Ahau mo Kolomotu’a, Tongatapu. Ka na’e fā’ele’i au i ‘Uelingatoni, Nu’u Sila. Kia Ora and greetings to you all! Seeing as it is Tongan language week, a part of my introduction must be stated in the heavenly language of Tonga. As I said earlier my name is Suliana Grace Vea. My father is from Faleloa, Ha’apai and Kānokupolu, Tongatapu (the main island of the Kingdom of Tonga) and my mother hails from ‘Ahau and Kolomotu’a, Tongatapu. I was born and bred here in Wellington, New Zealand. I am currently studying towards a Masters in Information Studies which entails the two majors of Library Science and Archives and Records Management. In celebration of Tongan Language week and enriching Aotearoa with Tongan music, I will be highlighting a key theme from an essay I wrote as part of my honours year as a Pacific Studies student at Victoria University of Wellington in 2011. I compared original music compositions of the late Tongan Queen Sālote (1900-1965) and popular New Zealand recording artists, Herbs (1970s- present). In this blog, I draw attention to how Queen Sālote’s and Herb’s musical works continue to be used and have relevance for contemporary Pacific societies. My thanks to Te Papa for giving me a space where I can put my thoughts and findings out there. Queen Sālote’s composition, Ta’anga ma’ae Kolisi ko Kuini Sālote was composed in 1956. It was last performed for the Queen by the Queen Sālote College (QSC) students in 1965. It is performed as a style of dance called the mā’ulu’ulu which is characterised by a seated posture, with arm movements as the main action. This composition was and is strictly used by current members and past attendees of QueenSāloteCollege as it was written for them by Her Majesty herself. This composition is still valid today and will continue to be a source of pride and memories for previous and future QueenSāloteCollege’s students. It is a distinct form of dance, that is connected to a school and nation’s tradition that will be continued in remembrance of Queen Sālote and what she stood for. The performance above was in 2008 at King George V’s coronation celebration. 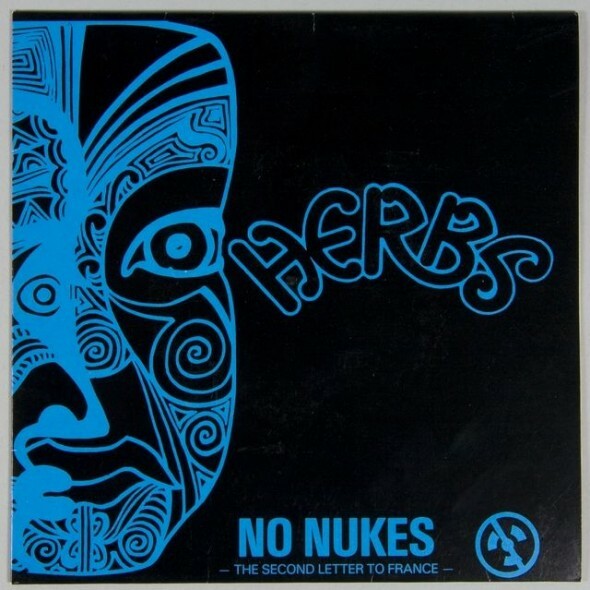 French Letter by the Herbs was released in July of 1982. This song was written in protest against the French nuclear testing at Moruroa Atoll in French Polynesia. Herbs became aware of this issue whilst touring around the Pacific with then-manager, Will Ilolahia. Due to “French Letter” being the name of a condom company in France, the song title was changed to “Letter to France” so that it could be played on the radio. “French Letter” spent four months on the New Zealand charts, reaching number 11. Today, nuclear energy, weapons and testing are still a very real threat to humanity. The context is certainly different but the point of the message is still the same, – no nuclear testing/weapons please! 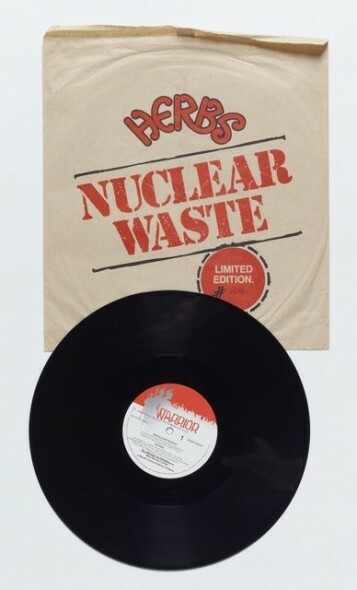 Scrolling through YouTube comments under the different versions of this song, there are views and comments from as recent as yesterday discussing and sharing information about nuclear effects; Herbs music has allowed a forum for this to happen more than 30 years after the release of the original song. Although this is a very brief part of my original essay, I hope I have encouraged you to reflect on lyrical composition and its influence in society; and secondly, exposed you to a comparison you haven’t thought of before. Te Papa’s Collection has both photographs and items that feature Queen Sālote; and recordings from Herbs, including another composition with an environmental message about, “Nuclear Waste”. ‘Ofa ke mou ma’u ha uike fiefia mo monū’ia o hono fakamahu’inga’i oe lea fakatonga. Dix, John. Stranded in Paradise: New Zealand Rock’n’roll, 1955-1988. Auckland: Paradise Publications, 1988. Shingleton, Robin (Director). Give it a Whirl, Documentary Series, 2003.